GlobalVite is packed full of premium and unique chelated (protein bound) minerals which makes them easy for your horse’s body to absorb. These important minerals are ideal for supporting general bodily functions, maintaining peak condition and immune system stability. GlobalVite helps to support healthy joints, skin, hooves and much more. Great for changeable weather conditions, GlobalVite tastes delicious and can be fed all year round. Suitable for all horses and ponies. Feed 3 x 25ml level scoops daily for an average 500kg horse. Reduce to half this amount for maintenance levels. GlobalVite can be fed throughout the year. Samanta came over from Spain when she was 2 looking a lot different as to how she does now as she was very underweight. Her owner didn’t want her to gain too much weight or have too much feed straight away due to the possibility of colic or for her to grow too quickly. So since she got her she’s been on our GlobalVite to insure she has the correct amount of daily vitamins and minerals. 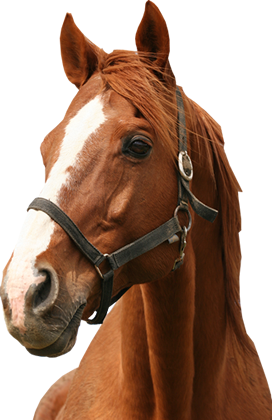 "I emailed you in August 2012 explaining how brilliant GlobalVite was for my horse, Blaze. I just wanted to give you an update on him. . GlobalVite has kept his coat shiny, body condition and weight fantastic. I’m so pleased with GlobalVite and will 100% keep him on it throughout summer and into next winter. We are currently competing in local show jumping, just this year we have been placed first 8 times out of 12 outings, 2 2nd’s, 1 3rd and 1 4th. We hope to affiliate next month, gaining British Show jumping points and prize money." "I brought my Thoroughbred last March. He was looking ok but had a dull coat, looked tired and his shoes kept coming off! A friend suggested GlobalVite and after speaking with one of your wonderful advisors, put him on the supplement. We have got through the winter very well with no loss of condition and he still has a lovely glossy coat! I now use your SupaHOOF as well and the difference in the condition of his feet is amazing. He is 20 years old now and when I first got him he behaved like that too, but since having him on your supplements he behaves like a wonderful young thoroughbred- full of life, healthy and happy." "After using GlobalVite for just one week my ponies were absolutely blooming." "This is the only vitamin formula that doesn't make my mare go fizzy. It also keeps her coat colour properly during the winter."